Have a lot of Fun and Adventures! Two Counties as one 4-H Project! Learn how other states run their 4-H clubs. Meet youth fro other parts of the United States. 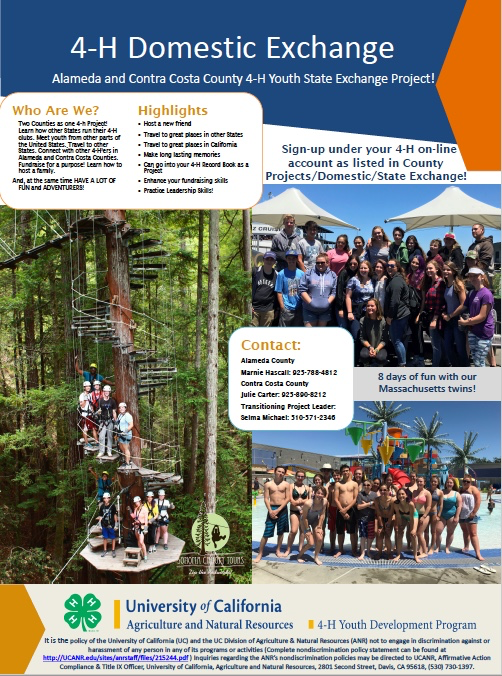 Connect with other 4-H'ers in Alameda and Contra Costa Counties. Fund raise for a purpose! Learn how to host a family.